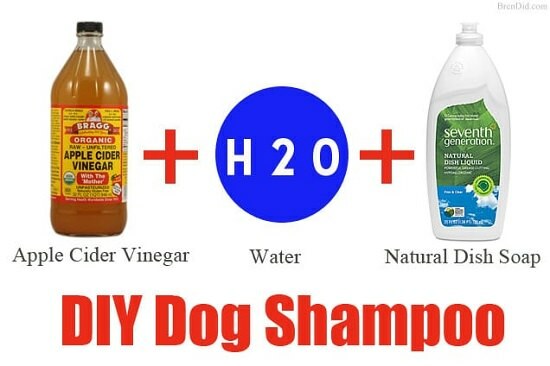 Here are some effective DIY dog shampoo recipes to clean your pet naturally while getting rid of fleas and bad odors! This recipe employs the potent bacteriocidal action of apple cider vinegar and the nourishing effects of baby shampoo to combat flea infections and leave your dog’s coat silky smooth. Enriched with coconut oil, milk, and lavender, this creamy shampoo is great for dogs that stink. Use rich cream for a velvety touch and ground rosemary for a long-lasting dander treatment. If you want a mild shampoo with cleaning and deodorizing properties, look no effect. This vinegar-detergent mix is a miracle-worker. Check the recipe here. If your pooch has had a tough time dealing with itches and allergies lately, pamper her with a bath using this extra-soothing oatmeal shampoo. Check the recipe on TheNest. 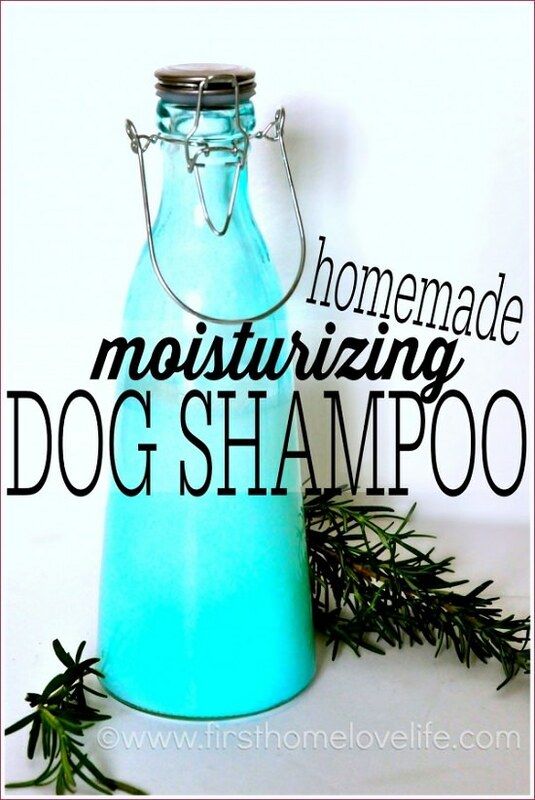 Easy to make and kind to your pup’s coat, this simplistic dog shampoo is way better than its commercial counterparts. The science behind this dry dog shampoo is simple: it uses cornstarch to clean up and baking soda to deodorize. And the best part that is it comes handy when you can’t decide between giving a wet bath and continue living with a smelly dog. 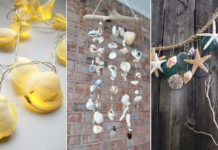 Follow the tutorial on DIY Network. Rubbing this lavender-enriched dry shampoo on your dog’s coat will make him feel caressed and loved as opposed to feeling threatened and scared in ordinary wet bath scenarios. Why spend on dog spas when you can create a luxurious, scented bath experience for your pooch at a fraction of the cost! This aloe-vera and essential oil-enriched shampoo can help. Here’s the DIY dog shampoo recipe. This coconut oil dog shampoo reverses the toxic effects of using store-bought version, thereby promoting a shinier, healthier coat in the long run. An oatmeal bath is perfect for dogs that itch a lot but don’t seem to have any discernible dermal allergies. Mix in one cup baking soda for coat that looks and smells fresh. Here’s more on it. This recipe includes coconut oil, olive oil, and castor oil in equal proportions to revitalize coat hairs and make them more resistant to seasonal infections. 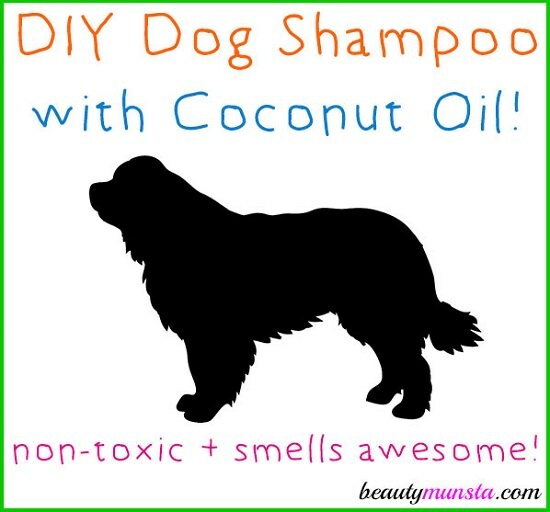 For a subtle, hydrating wash that leaves lingering smells of coconut behind, try this simple dog shampoo here. Fortified with aloe, lavender and rosemary, this dog shampoo lathers well, offering a gentle, caressed feel that lasts. 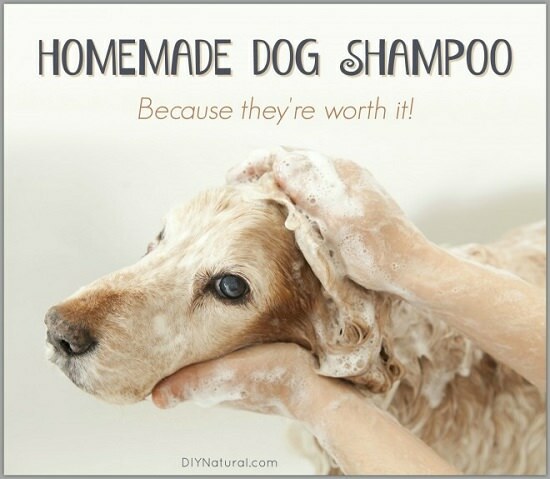 This is an easy, organic, vegetable-based shampoo for pooches that routinely suffer from bad smells, itches and infections. Check the recipe at BarkPost.